After one of their identical twin daughters, Lydia, dies in an accident, Angus and Sarah Moorcroft move to a remote Scottish island, hoping to mend their shattered lives. But when their surviving child, Kirstie, claims they have mistaken her identity - that she, in fact, is Lydia - their world comes crashing back down. They know one of their daughters died. But can they be sure which one? This is a wonderfully written, gripping psychological thriller that I would highly recommend. 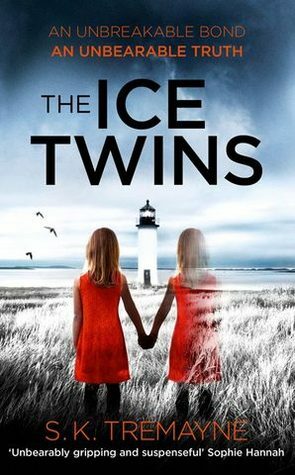 The Ice Twins, are the two monozygotic identical twin daughters of Sarah and Angus Moorcroft. Both born with blonde hair and ice blue eyes on the coldest day of the year, the book gets its title from the description the twins grandfather bestows on them - I like when a book title has a direct explanation in the story. The thing that grabbed me first of all, was how clear the characters were drawn from the very first page. Written in first person narrative, you are placed inside the head of Sarah, the grieving and shattered mother. She lives in a fragile, confused state of mind - a women who has seen the broken, lifeless body of her own daughter, held her and watched her die. Her favourite daughter. Her mind fractures from one thing to another just trying to get through each day, all the while living with a husband who can barely contain his contempt for her and trying to be a mother to the remaining twin. The one left behind. The non-favourite daughter, Kirstie. Angus, the devastated father, shows his temper is always bubbling beneath the surface and ready to explode at any moment from the outset, something which is not lost on Sarah and contributes to her own edginess greatly. 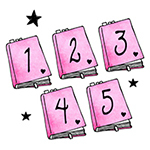 The reader understands the marriage is fragile, but after what they have been through it is no surprise, however we glean snippets of information throughout the novel that indicate neither partner has been, or is being, completely honest and you start to wonder how deep down the deceit actually goes. It is quickly established that we do not have reliable narrators with us on this journey. We are quickly whisked from the opening location of London, to the remote Scottish isles. The imagery and passion with which this location, in which the bulk of the novel is set, is written does not falter throughout and I was thrilled to have actual photographs punctuated throughout the novel - some of them making the hairs on the back of my neck stand up, so eerie some of the plot got. It was a perfect location to walk hand in hand with the story though. An island on which they need to rebuild the derelict old house - the place they believe they can equally rebuild a new life, to being the most isolated and wildly desolate and torrid place, which is where they find, in reality, they are in their lives. Is the task at hand just too big to make work? The twists and turns this story takes are plentiful and each one explained to seem quite plausible. Not once did I get a sniff of where it was going next and in the end I stopped trying to guess. I completely flip-flopped from believing they had identified the wrong twin, to not, and found the ways they tried to find out the truth provided a fascinating insight into the unique world of identical twins. I thought the pacing of the novel was excellent, it opens in the thick of the families emotional distress and we are taken on their journey of recovery, while being given injections frequently of what happened, to bring us to this point. For me, I liked the mixture in the writing. From the 'theory' of identical twins by the child psychologist, the raw emotion of Sarah and Angus, the general sadness of everyone the tragedy touched and the hints at the supernatural that never failed to send a little shiver up my spine.